I have to admit, the first impression I had of the brand ‘Too Cool for School’ wasn’t that strong despite my love for Korean cosmetics. 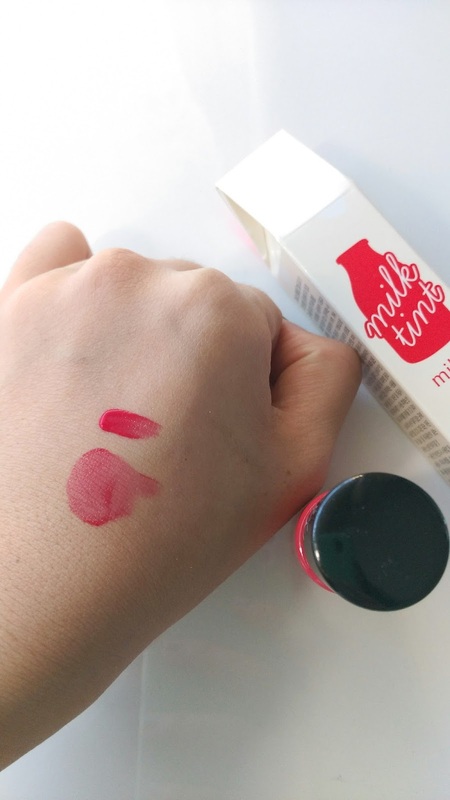 I slowly came across more and more reviews on their products over time (not to mention the packaging for the ‘Dinoplatz’ range is awesome) and came to a decision to try out their Milk Tint in Red. I ordered this on ebay at $9AUD a pop. 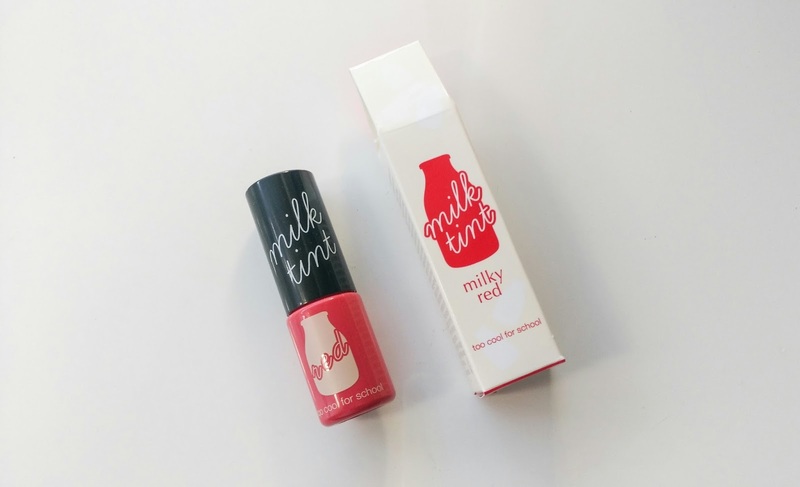 The product is 9.5g and is also available in ‘Milky Pink’ and ‘Milky Orange’. It’s a simple product without any super crazy claims. The milk carton packaging is cute (which I am a sucker for) and I like that the lid is very sturdy. Classic doe foot applicator which I find works really well with the consistency of the tint so you can evenly intensify the colour with precision. Overall I’m pretty impressed with this tint and makes me want to try more products from the brand. (I’ll be going for their ‘Art Class’ bronzer trio next…hehehe.) Compared to the only other lip tint I own : Tony Moly Tony Tint Delight , there’s a big difference with the formulas. The Tony Moly liptint would stick to patches in my skin and didn’t perform as well in terms of stain power and longetivity. Thumbs up guys! 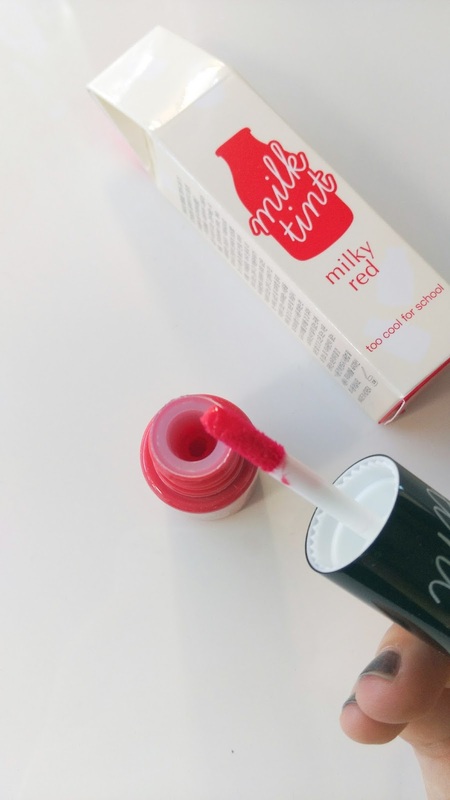 Really recommend if you’re looking for a good lip tint. Have you tried any products from ‘Too Cool for School’ ? Next Post May Favourites 2016!